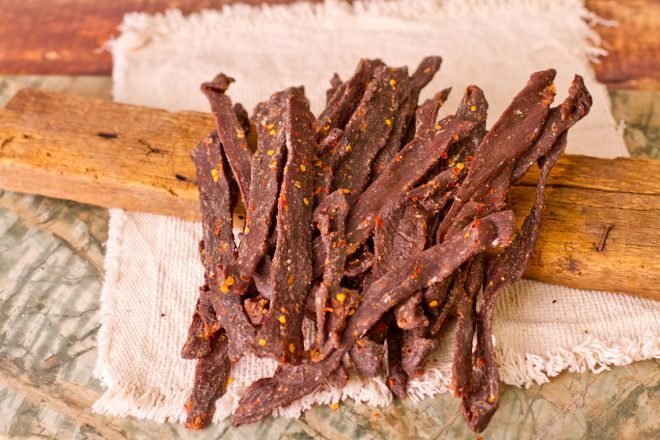 A full pound of whole muscle hickory-smoked beef jerky, hand-cut and nail-hung the old-fashioned way. This product is available in mild or hot. 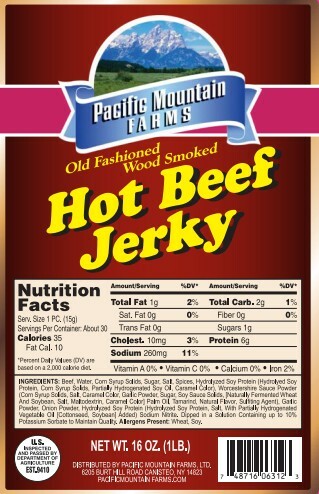 These strips of top round beef are seasoned with traditional Appalachian seasoning and slowly dried. 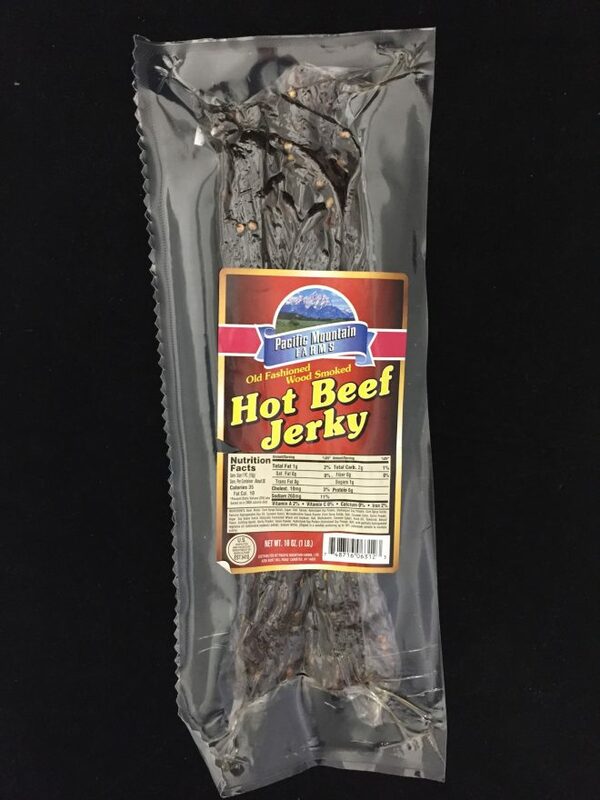 Approximately 30 pieces of jerky per bag.